There really is no way around it. Getting a DUI in the state of California usually leads to higher premiums and escalated deductibles. Many nationwide insurers will not insure a driver who has been convicted of a DUI, but there are a few things you can do to get yourself insured. 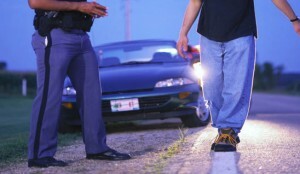 Check out these 3 tips that can help you get insured in California following a DUI conviction. File an SR-22 – If your driver’s license has been either revoked or suspended, you will need to file an SR-22 before you can get on the road again. This certificate is to confirm that you meet the state’s minimum requirements for liability coverage. Some insurers do not offer SR-22s and in this case, your policy will be canceled. The document can be obtained from your insurer who will then submit it to the California DMV once you have filled it out completely. Once filed, you will then be marked as a “high risk driver”. Enroll in the California Automobile Assigned Risk Plan – Most national insurers don’t offer coverage for high risk drivers, but many smaller auto insurance companies do. If your policy has been canceled or you can’t afford the higher premium, there is a bit of luck thanks to the California Automobile Assigned Risk Plan. This program is designed to match those with DUI convictions with companies that will insure high risk drivers. Compare Rates – To get yourself the best possible deal, it’s best to compare rates among those insurers who will work with DUI convictions. Just remember to be completely honest about your situation when requesting a quote from auto insurance companies in order to avoid disappointment or confusion. If you have been convicted in the state of California, there is no need to panic just yet. Use these tips to help you get insured so you can get back on the road in no time!